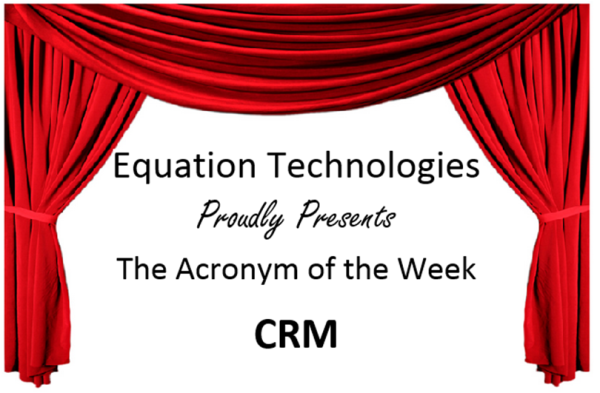 The Acronym of the Week is CRM, this stands for Customer Relationship Management. CRM is a model for managing a company’s interactions with current and future customers. It involves using technology to organize, automate, and synchronize sales, marketing, customer service, and technical support. Majority of companies today are using it! Choosing to implement a CRM solution will increase sales and productivity. Now that you know this new, fancy acronym, take a look at what Sage CRM can do for your company! Contact Equation Technologies for further questions regarding Sage CRM.